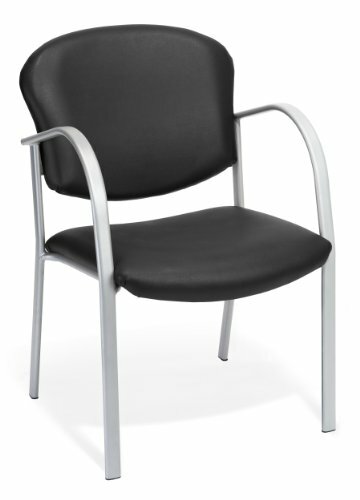 It's the full package of cleanliness, comfort and style with OFM danbelle anti-microbial/anti-bacterial vinyl reception chair, 414-VAM-606-OFM 414-vam. Beyond the stylish look, guests will feel the comfort of the waterfall seat design and the supportive, rounded arms. Choose from several classic anti-microbial/anti-bacterial vinyl's that withstand heavy use. Select standard, scratch-resistant silver frame finish, or special order the powder-coat black or chrome frame finishes for added style and durability. The sturdy steel tube frame holds up to active use. Weight capacity up to 250 lbs.